INDUSTRY.co.id - Jakarta - Just rocked Indonesia's technology and lifestyle industry on March 27th yesterday by launching three flagship smartphones, namely: Honor 9 Lite, Honor View 10, and Honor 7X, Honor, e-brand youthful, innovative, trendy smartphone, stylish, and sophisticated, bringing back exciting news again. Born to digital lovers, Honor is committed to bringing inspirational experiences to young people. In honor of Honor's official presence in Indonesia, Honor collaborates with colleagues to encourage exciting and engaging experiences in the realm of music, gaming, photography, and video creation for the young at heart. "We see ourselves as fellow creators of a youthful lifestyle. Beyond innovation and product quality for customers, Honor is committed to working with industry leaders on information technology maps to create a valuable and unique experience for smartphone enthusiasts. 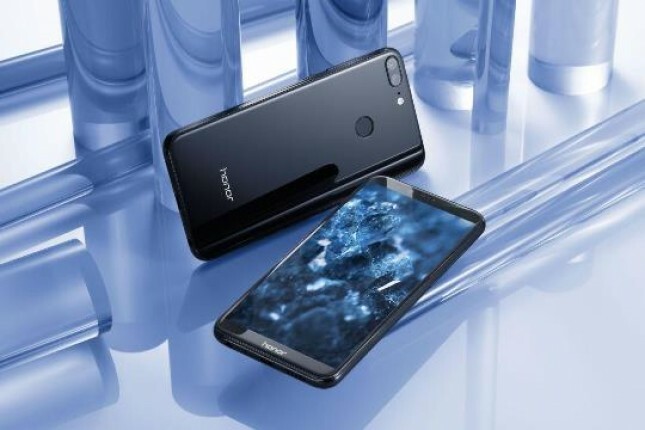 The collaboration that we realize has the same goal, which is to bring the experience of playing the best smart phone, exclaimed, integrated, and comprehensive for young people and those who are young at heart," said George Zhao, President Honor. "This is a realization of our ongoing commitment to Indonesian fans, and we look forward to the times when we can launch a more exciting experience with our future global partners". Exciting collaboration with the creators of the trendy young lifestyle! Honor has a goal to bring a thorough, cool, trendy, thorough brand experience and continue to feature connectivity through a variety of channels or mediums, to young people. Therefore, Honor works with a well-known and popular brand partner among young Indonesians. Honor worked with Joox, one of Asia's leading streaming music applications, to broadcast live interviews with Australian star Lenka who co-created and sang Honor's "We Are the Brave" theme song during the launch event. Together, Honor and Joox will offer the experience of enjoying unique wireless music for young people in Indonesia, as well as providing cool songs throughout the archipelago. Honor also work with three most popular live stream applications, namely: Bigo Live, Live.me, and Nonolive, to share the joy of Honor's presence, through live broadcasts during the event. Dubbed as the top 10 social media applications in 80 countries, Bigo Live is loved by young people around the world, especially in Southeast Asia. While Live.me is the most popular video chat & live broadcasting application with 40 million active users in over 85 countries. In collaboration with Tik Tok, Indonesia's most trendy short video app, Honor brings closer to the younger generation by communicating in their everyday language. Tik Tok joins the launch event by continuing to upload exciting and unique short videos about the live experience of playing Honor's flagship smartphone. Tik Tok Team is fascinated by Honor products that deliver cutting-edge technology, innovative features, and the ultimate user experience. Honor has also established strong relationships with many young adventurous partners in Indonesia. One of them is VNG, the distributor of the top battle royal themed game Rules of Survival, where Honor became one of the tournament sponsors of the game. Honor also plans to work together with Camera360 Ultimate, one of the most popular digital photo editing apps, to jointly bring Honor's flagship camera and Camera360 Ultimate creative software to produce the best images that are eligible to be shared in the domain or medium desired by the user. Be prepared to wait for a sensational shock! Working closely with strategic partners, Honor intends to build broad partnership structures through various channels and mediums, delivering unique products and unique brand experiences to Indonesian consumers. Be prepared for the next fantastic surprise!